Virginia's turns THREE and Huertas is helping us celebrate with the launch of BURGER TUESDAY! 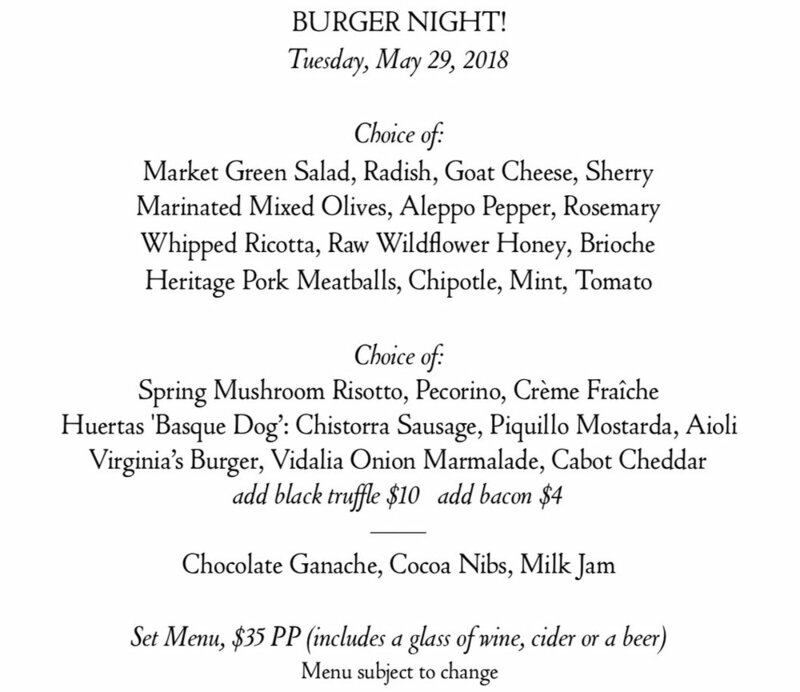 The inaugural Burger Tuesday menu on May 29th will feature Huertas' famous hot dog as an additional option. BURGER TUESDAY menu will run until the end of summer* - also a perfect option for large group celebrations! Three-course menu includes a drink for $35 per person.